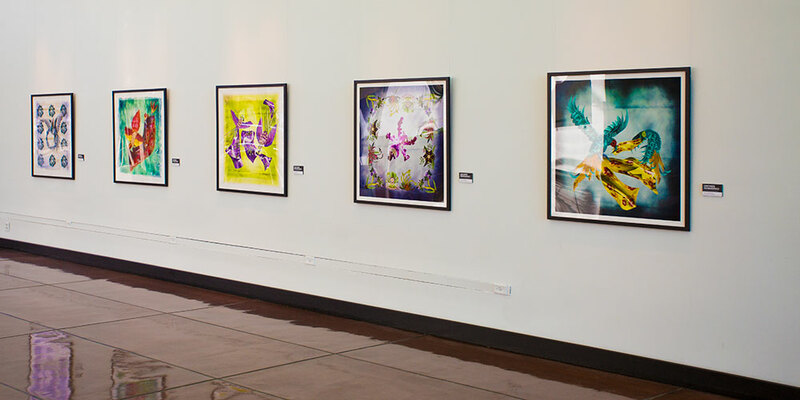 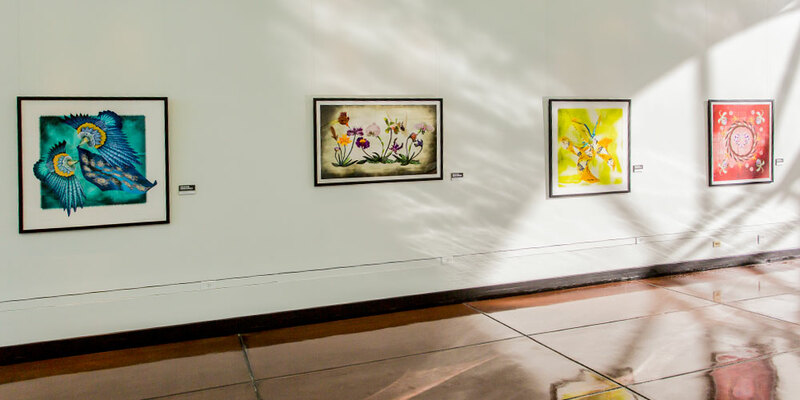 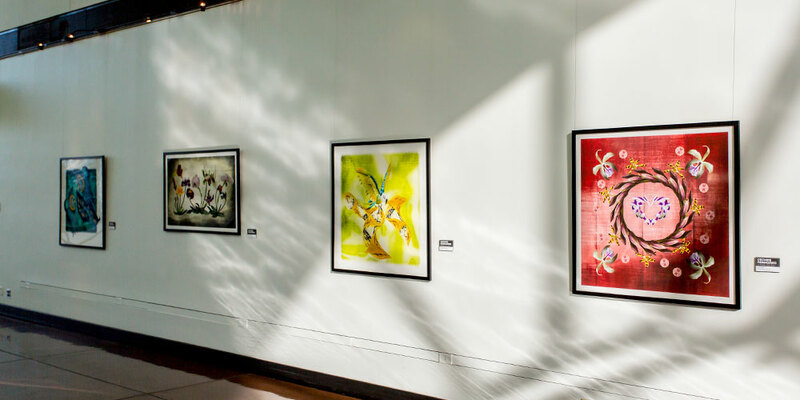 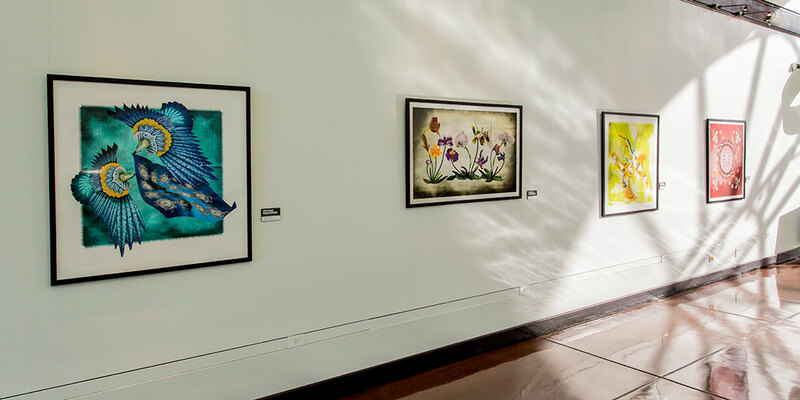 Bullivant Gallery recently had the honor of working with architectural and art photographer Barbara Elliot Martin on her exhibit Orchids Reimagined, hanging at the Missouri Botanical Garden’s Ridgeway Visitor Center. 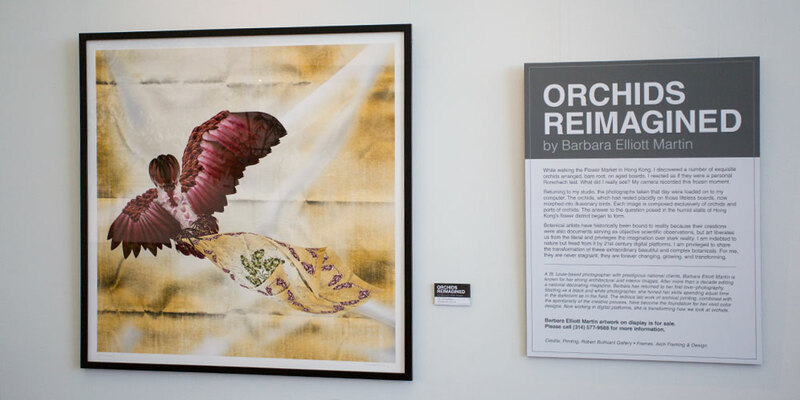 Barbara’s large colorful prints (48″ x 48″) show all the stunning detail of her intricately photo-composed imagery featuring individual parts of orchids that have been painstakingly recomposed into dramatic and imaginative landscapes of birds, flowers and designs. 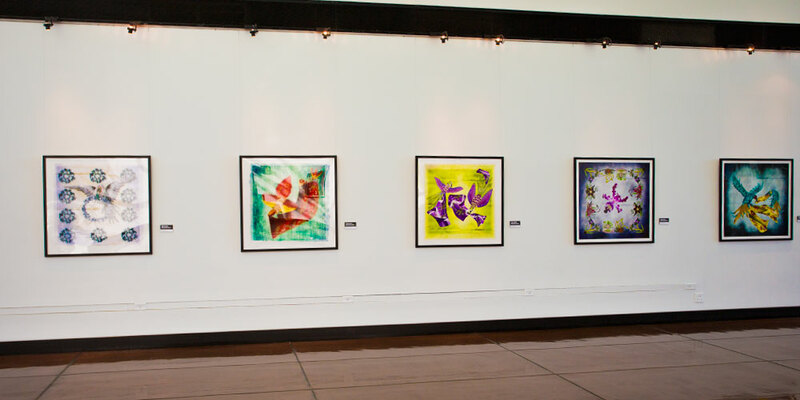 The exhibit hangs January 10 through March 7, 2014.